^ Statistical Center of Iran 2006 Census website 存档副本. [2016-02-07]. （原始内容存档于2007-06-01）. ^ دانشگاه صنعتی ارومیه[Urmia University ]. «معرفی، تاریخچه و آشنایی با شهر ارومیه». ["Introduction, history and familiarity with the city of Urmia"]. [2016-01-09]. （原始内容存档于2014年1月2日） （波斯语）. ^ 4.0 4.1 （波斯文） Azarbayejān-e Gharbi - les cités les plus importantes. World Gazetteer. 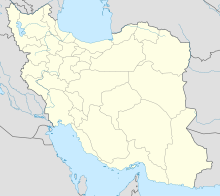 ^ Urmia,” The Columbia On Line Encyclopedia. ^ 12.0 12.1 Macuch, and Ishaya "Assyrians" , Encyclopaedia Iranica 存档副本. [2008-07-12]. （原始内容存档于2008-07-12）.